Boutique designers have created eyeglass styles that make a fashion statement you’re proud to show off, while advanced materials have produced lightweight lenses that perform specialized functions. The doctors at Marina Del Rey Optometry provide a thorough vision exam, then give you the opportunity to choose from a wide variety of designer eyeglass styles. If you’re overdue for an exam or you’d like to explore the latest eyeglasses, call the office in Marina Del Rey, California, or schedule an appointment online. What common vision problems are corrected with eyeglasses? What are the different types of eyeglasses? The team at Marina Del Rey Optometry keep up to date with the latest technology and materials so they can provide the best options in eyeglasses. For example, you can correct severe refractory errors without thick lenses thanks to high-index eyeglass lenses. What specialized lenses are available? Spending prolonged time at the computer increases your risk for eyestrain, blurry vision, and red eyes. You can protect your eyes with specialized eyeglasses designed to optimize vision and comfort while you’re at the computer. They help screen out blue light and have lenses that accommodate the distance between your eyes and your computer screen. These eyeglasses are designed to fit securely and comfortably during physical activity, keep your eyes safe, and enhance your vision to give you a performance edge. They may reduce glare or enhance contrast so you can see better and react faster. Will you have a large selection of eyeglass styles? 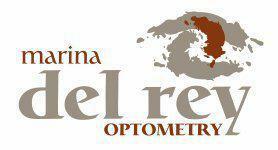 Marina Del Rey Optometry offers a wide variety of eyeglass styles from diverse boutique designers. They constantly add new options to their collection of designer eyeglass frames and sunglasses, but they always feature brands carrying well-known and highly respected names, like Ray-Ban, Oakley, Gucci, and Armani, to name just a few.